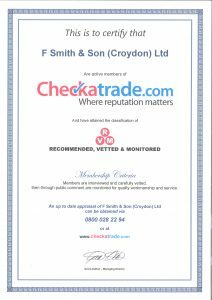 F Smith and Son Removals, which is a respected removal specialist from Croydon has successfully become a member of Checkatrade. Hence, this article will focus on why F Smith Removals decided to gain membership of Checkatrade, and what this may mean for the removal business in the future. Checkatrade is an industry leader in providing consumers with unbiased and accurate information about trade services in their area. The membership service is exclusively available only to services that go through a rigorous application process which includes everything from detailed interviews and inspections to ensure that the business is not only trustworthy but market leading in the services that they provide. From there, the organisation is able to aggregate real-life testimonials from past customers so that an accurate appraisal of the trade business can be accessed. F Smith and Son Removals has been operating in England ever since the 1930s. Since then, the company has evolved to become a trusted institution not only in England, but also abroad. The company started off by providing local removals to the community and now offers a vast range of different services that include international removals and commercial relocation and storage. After an extensive application process, Checkatrade approved F Smith Removals for membership of their organisation. Considering the excellent reputation that the removal company has throughout England and Europe, it came as no surprise to many past customers that the business would easily gain membership of such an organisation. Currently, F Smith Removals has a perfect ten out of ten rating on the Checkatrade platform. The perfect score is based on verified reviews of past clients and is evidence of the fact that the platform is unbiased and committed to providing an accurate representation of its members. Very few removal companies are able to come close to a perfect score, hence, this is further proof of just how much of a high-quality service F Smith Removals has grown to become. Moving forward, F Smith Removals is looking to further improve upon all of the highly rated services that it provides. One of the most defining factors as to why the business has been able to gain such a stellar reputation is cemented in the fact that it can provide the most basic or most complex service at an industry-leading standard. A quick look at the F Smith website showcases that it can still provide small, local removal services to individuals and families. At the same time, large-scale international removals which involve complex logistical planning such as air and sea shipment are also available. Regardless of the service, the testimonials showcase that the company is able to provide clients with a quality service that is always consistent. 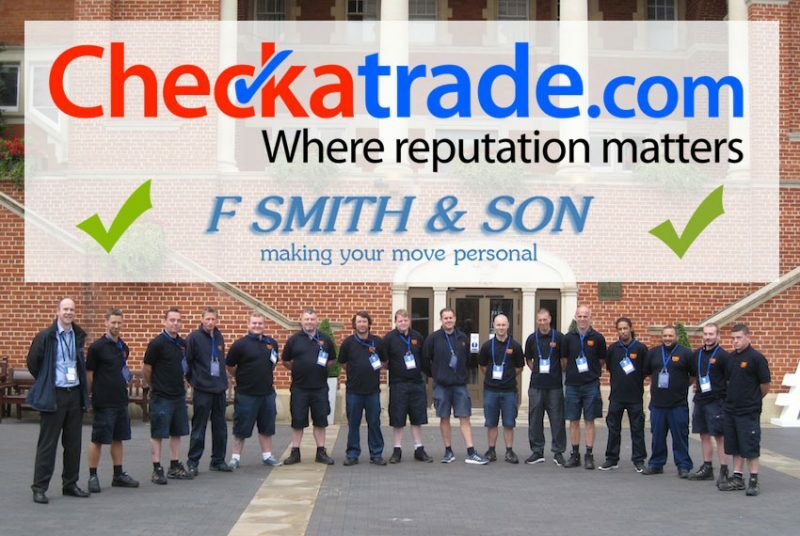 The fact that F Smith and Son has successfully become a member of Checkatrade has further cemented the fact that it is one of the leading removal specialists throughout the area. Anyone looking for verified and trusted removal services should seriously consider using F Smith and Son in the future.